Congratulations to Marie Hepi from John Paul College in Rotorua, who was recently selected to receive an ASG National Excellence in Teaching Award. Marie is one of 18 regional recipients selected from almost 200 community nominations throughout New Zealand. Now in its 21st year, the awards give the community the opportunity to formally thank and recognise outstanding and dedicated teachers who are passionate about driving a world class education system and encouraging students to reach their full potential. 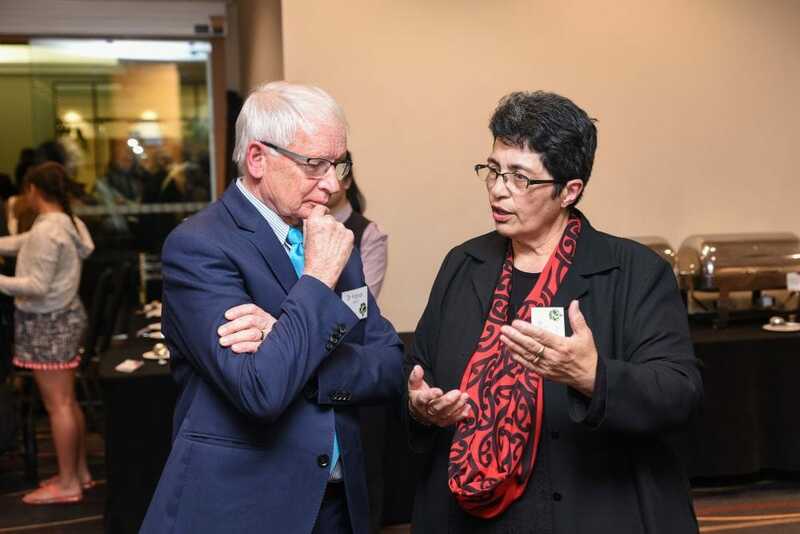 Sector Council Coordinator of New Zealand, Sir Br Patrick Lynch and Marie Hepi, in conversation at the Lasallian Global Women's Symposium held earlier in July, Auckland New Zealand.